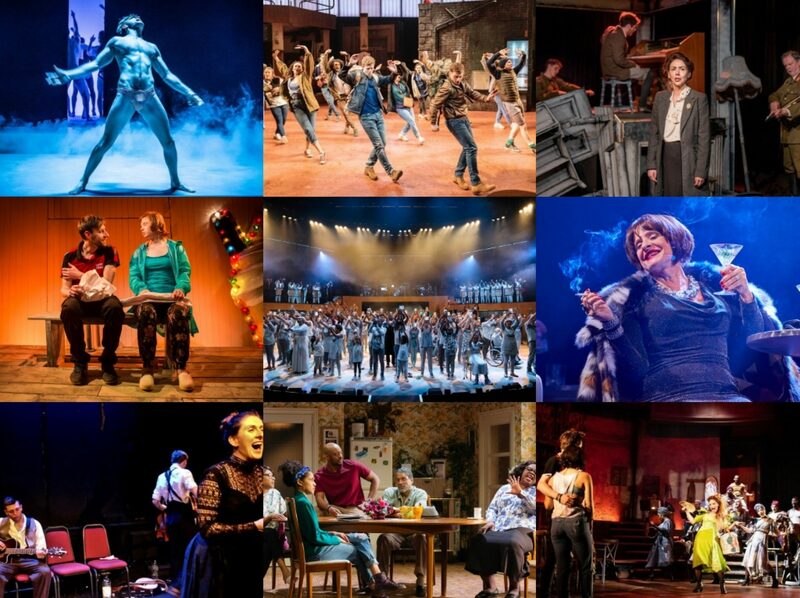 The Union Theatre have definitely identified their niche in London’s cluttered theatre landscape: small-scale revivals of musicals that might otherwise have languished in obscurity with productions that are big on ambition. 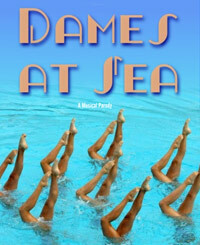 The latest show to get the Union St treatment is Dames at Sea, a 1966 parody of 1930s musicals with book and lyrics by George Haimshon and Robin Miller and music by Jim Wise which much like The Drowsy Chaperone, grew from its beginnings as a short sketch into a full show. A problem for me lay with the uncertain tone between parody and straight performance, Kirk Jameson’s direction seemed to waver between the two rather arbitrarily and in the intimate space of the Union, it thus felt a little exposed: are we laughing with, or at this. The biggest issue though was in the lack of quality tunes, not a one of them truly memorable or really clever enough to carry the humour of the show, focusing on the spoofy side of things a little too much and just not musically interesting enough to compare with serious good musicals. I’m perhaps being a little bit harsh: the enthusiasm of all concerned cannot be doubted in the way Drew McOnie’s delightful choreography is carried out, the singing was bright under MD Richard Bates and the hammy acting wryly observed: Gemma Sutton and Daniel Bartlett are both strong and sweet as the central couple. Rosie Ashe is great value for money as the deposed diva, it was an awful lot of over-the-top-ness for such a small space, the excessive volume proving contagious throughout the ensemble. Chatting about the show in the bar across the road afterwards proved to be most illuminating: 2 people who hadn’t seen a musical in a while and never seen one at the Union said they’d really enjoyed it whilst I and another friend who came with me to Crazy for You (and who has also seen Singin’ in the Rain) were a lot more sceptical. There’s no doubting it is fun, but I just wanted, and expected, more. In a summer of strong musicals and with the Union’s own sterling reputation in the field, Dames at Sea ultimately felt quite underwhelming.